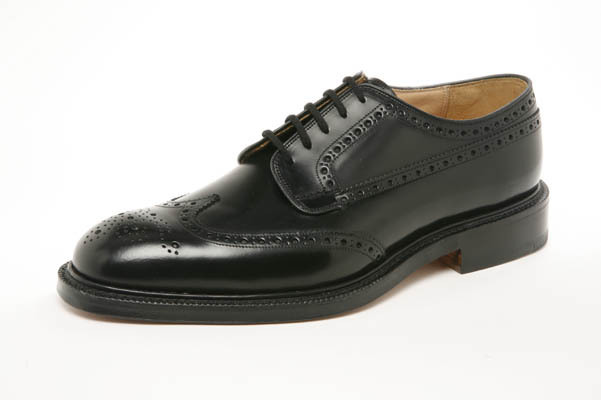 And so I sent these to EG and they identified the style as the Cadogan. After some deliberation Mr. B decided to place an order for his pair. Well, they came in the other day and he was overjoyed when he slipped them on his feet. These are on the 82 last and are very chic. One of the reasons I love Edward Green is the fact that their shoes are timeless, my guess is that the pictures were taken in the 1940’s or 50″s. I also love the fact that as the title of this post says “Ask and Ye Shall Receive”. Way to go Mr. B. (side note) Upon closer observation of the picture of the two shoes under the table the brogues on the left look very similar to the Church’s Grafton.